Get ready! After GRANDPRIX CLASSIC Spring Break and Summer Tour, the last leg of the PremiuMares Challenge rewarding the best 7yo horse will take place from August 16th to 19th during the LONGINES DEAUVILLE CLASSIC. PremiuMares will offer the best rider of the Challenge a 4/5 days stay in Greece. These last two weeks, GRANDPRIX CLASSIC Summer Tour hosted the second leg of the PremiuMares 7yo Challenge. After the GRANDPRIX CLASSIC Spring Break, riders had also the possibility to earn points in July, so they will have a chance to have enough points for the great final at the LONGINES DEAUVILLE CLASSIC. This Summer Tour leg was full of twists and saw the ranking completely updated! 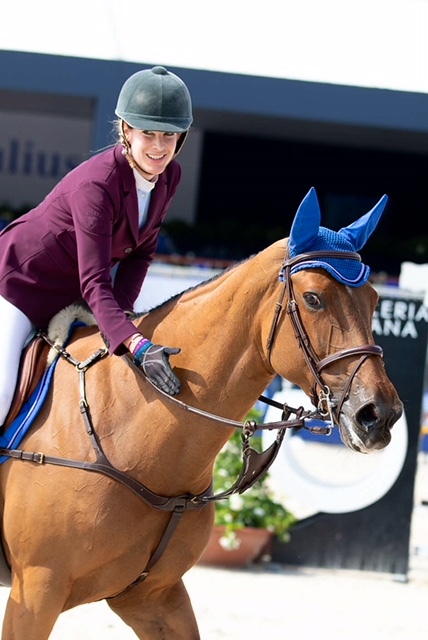 Already winner of the Oscar & Gabrielle Challenge, the British rider Jessica Dimmock took the lead of the PremiuMares Challenge at the end of the GRANDPRIX CLASSIC Summer Tour. Riding his mare Billy Fleance, the couple totalize a sum of 545 points. Behind her, the rider of Baracat d’Anchat (by Kannan*GFE), Alexis Deroubaix also moved up in the ranking. He takes now the second position with a total of 460 points. 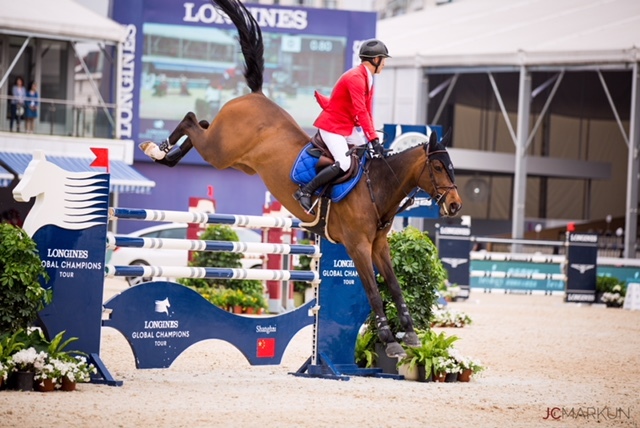 In third place, it is the French rider Frédéric Lagrangen, associated with a Diamant de Semilly daughter, Bergame de l’Yserand, with a score of 412.5 points. However, the game is not yet over for the riders as the LONGINES DEAUVILLE CLASSIC from August 16th to 19th promises a lot of changings in the ranking! For more information about PremiuMares, go here. Also follow GRANDPRIX Event on Facebook and Instagram. To contact the GRANDPRIX EVENT team, please send an email to showoffice@grandprixgroup.com. Come visit the LONGINES DEAUVILLE CLASSIC to discover the TAGAD’ART exhibition 2018, gathering 14 contemporary artists who have worked on the representation of the horse in paintings, sculptures and photographs. – At the Hippodrome de DEAUVILLE-La Touques, during the BARRIERE POLO CUP from August 16 to 26. – But especially at LONGINES DEAUVILLE CLASSIC from August 16 to 19! This exhibition will deal with several themes: racing, horse show and polo. It will represent the horse as a noble animal, sensitive and useful in sport and hobbies, respected and appreciated by all audiences, riders or not. Come and enjoy the Tagad’Art exhibition during the LONGINES DEAUVILLE CLASSIC from August 16th to 19th! Also follow GRANDPRIX Event on Facebook et Instagram. This year, all the Young Horse classes of GRANDPRIX CLASSIC Spring Break, GRANDPRIX CLASSIC Summer Tour and LONGINES DEAUVILLE CLASSIC will be part of the challenges PremiuMares. The best 6 years old and 7 years will be awarded and the winners will offer their riders a trip to Greece. As GRANDPRIX CLASSIC Summer Tour started yesterday with Young Horses classes, we have met on this special occasion Milena Pappas, founder and manager of PremiuMares. In your own words, what is PremiuMares? PremiuMares is an elitist breeding program. Founded 4 years ago, PremiuMares, as the name implies, is dedicated to breeding show jumpers of excellence. As the showjumping sport has evolved, competitions have become much more demanding whilst the standards are set higher and the needs for showjumping horses with endurance and quality are needed at every levels. To be able to live up to the expectations of modern show jumping standards, ‎PremiuMares meticulously selects mares of supreme origin, and genetical background; mares that have already proven themselves in the sport, to be paired with modern stallions of the highest level, so as to ensure the best possible chances for breeding showjumpers of outstanding quality and standards. PremiuMares is born out of passion for quality, and this is what we strive to produce and give to our clients. What gave rise your involvement about young horses? 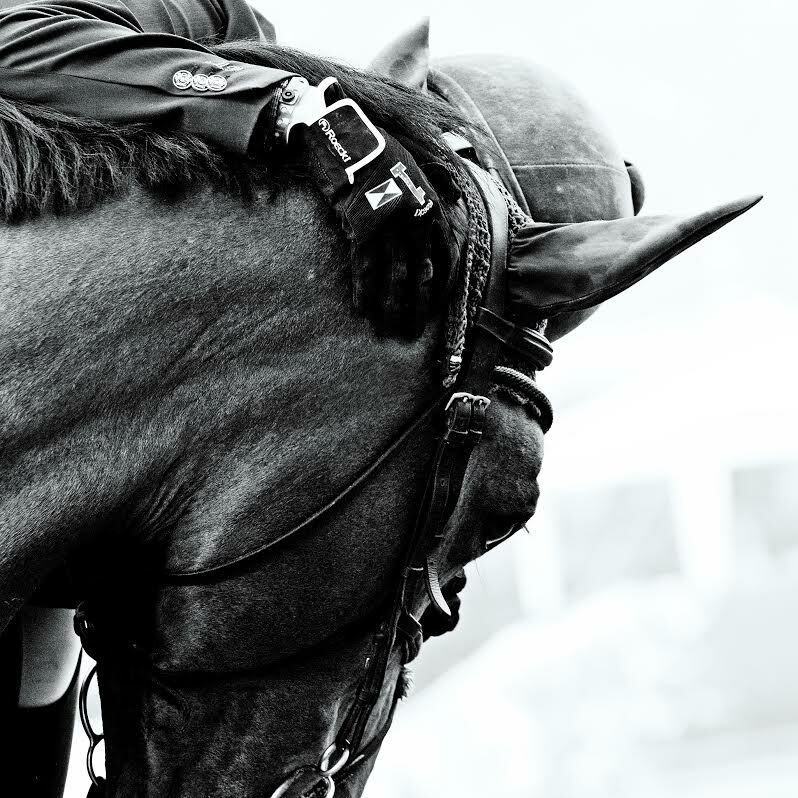 Passion for the sport and for the animal, for us at PremiuMares is more holistic. We love to see the horses from their inception, to the anticipation of their birth, their being broken in, to their reaching their full showjumping potential! The early years of a foal determine a lot about it’s character as well as its bodily formation and strength. Providing for the right foundations, ensures for a longer sport career, as well as a more successful one. One way to ensure for that, is to do it yourself! It is fascinating to see the young horses evolve, grow stronger and finally reach their full potential. It is not easy and definitely a big risk dealing with breeding and producing young horses. The satisfaction of seeing them succeed in the sport, though, is a huge reward and makes it all worthwhile! Which quality are you reaching first for a Young Horse? In a young horse, the most important things are character and intelligence, as well as health. health ensures for a long career. Character gives bravery, and we need it more and more as horses travel around the world in different arenas and situations. And intelligence is key to winning a class! Rider and horse, are a team, each relying on one another and one must manage to correct the other when situations demand so! How did you manage to set up a breeding of this quality? A good example of our breeding program, is our mare Itousche, a Kashmir x Clinton broodmare, who was injured early on in her career before being acquired by PremiuMares. She is the granddaughter of Reed Kessler’s 2012 Olympic partner, Cylana. Itousche is also a full-sibling to three horses currently competing at the five-star level: Gigi van het Daalhof, ridden by Abdel Said; Hoepala Vh Daalhof, who competes with Stephex; and the approved stallion, Jugano van de Vosberg, ridden by Belgium’s Maartje Verberckmoes. Last but not least, finding the right partners for the upbringing of the foals, is key. The right people who associate with the young horses on a daily basis, make all the difference! Foals and young horses need patience and time. It is not an easy job and loosing faith can be easy, so having support from knowledgeable and trustworthy people, makes for the ultimate success story. How is born the desire of creating your challenge? Along with GP magazine, we came up with this idea of a series of competitions for young horses. Everyone usually focuses on the Grand Prixes, of course. But young horses are the future of the sport. They are the future grand prix horses, they demonstrate where modern showjumping is heading and what it looks like going forward. This also helps promote the breeding part of the horse showjumping cycle. Everyone looks at which stallion is breeding well, which breeder has a ‘good eye’ as they say, for producing future champions. And after all, breeding is our passion! Do you feel more a rider or a breeder? and that is an easy, fast, scopy, careful, strong, healthy horse! What is your goal for next years? The goal for the years to come would be to maintain our standards whilst we carefully expand. PremiuMares is about quality, not quantity. Our goal is not to expand further than 70 horses, as we give each foal and young horse individual attention and time. This is what differentiates us. We want to be able to see how our foals develop, learn from them and from the needs of the sport as it evolves, so as to ensure that when you come to us, you hopefully come to one of the best! Pour plus d’informations sur PremiuMares rendez-vous sur leur site. Entries are open for the LONGINES DEAUVILLE CLASSIC! From 16th to 19th August, the LONGINES DEAUVILLE CLASSIC 2018 will take place at the Pôle International du Cheval, in Deauville, France. On the schedule of this 4 days of show: a CSI 3*, a CSI 1*, and a CSI YH*. Entries are open, so if you want to be part of this incredible show, it’s right now! We advise you to hurry as the number of selected horses and riders is very limited. Follow GRANDPRIX Event on Facebook and Instagram. To reach out to GRANDPRIX EVENT team, you can send an email to: showoffice@grandprixgroup.com. https://www.deauvilleclassic.com/wp-content/uploads/2018/07/20180719_LDC2018_Top_OuvertureEng_ANG.jpg 450 780 admin http://www.deauvilleclassic.com/wp-content/uploads/2018/03/logo-longines-deauville-classic.png admin2018-07-19 14:05:592018-07-19 14:05:59Entries are open for the LONGINES DEAUVILLE CLASSIC! Juan-Carlos Capelli, wishes you a warm welcome! Longines is proud to be back at the Longines Deauville Classic for the second consecutive year as the Title Partner and Official Timekeeper. We also look forward to attending the Longines Race, a fantastic sports show combining horse racing and show jumping, which will be held on Thursday evening, August 16. On Sunday, our brand is pleased to present one of the highlights of the event: the Longines Grand Prix de la région Normandie. The Longines Deauville Classic is the perfect occasion to present the Official Watch of the event, a model from the Record collection, through which Longines conveys its essence; one of timeless elegance and excellence. Ladies and gentlemen, dear friends of the equestrian sports, I wish you to live a thrilling weekend filled with beautiful sports emotions at the Longines Deauville Classic, where top-level show jumping meets the very idyllic setting of this world-renowned seaside resort. https://www.deauvilleclassic.com/wp-content/uploads/2018/07/TopGPC-LONGINES.png 570 1170 admin http://www.deauvilleclassic.com/wp-content/uploads/2018/03/logo-longines-deauville-classic.png admin2018-07-02 10:07:062018-08-16 12:52:36Juan-Carlos Capelli, wishes you a warm welcome! Take a look back at the LONGINES DEAUVILLE CLASSIC 2018! Press Release 18/08 – LONGINES DEAUVILLE CLASSIC GEOFFROY DE COLIGNY IS SUPERSONIC! Le schedule of tomorrow is online!